2019 is here whether we are ready or not! Clearly, I am not ready given the fact that we are already a month into 2019 and I am just now acknowledging its presence. But there is nothing like a new livery launch to shake me out of a winter haze and remind me that F1 is coming back! I've got the new 2019 Calendar up, and I am busy researching new recipes as we speak. I got a few kitchen gems for the holidays including a new book on Basque cooking, a sweet new Dutch Oven, a pizza peel bigger than I know what to do with, and some very adorable tiny whisks. We have also been experimenting with a new sous vide and I have never had a better steak in my life! In addition to checking out new food and gadgets, we have been keeping an eye on Formula-E this year as well. The short races and quirky commentary has kept us entertained so far! Have you checked it out? The 2019 Car Launches started this week and span over the next few weeks. I am particularly excited to see Haas and Racing Point to see what new liveries they show off. As an intro to this season, I wanted to also mention that I am hopeful that I will be able to cook and post and keep this blog active over this coming year, but I am currently taking on a teaching opportunity, landscaping my backyard, working a couple jobs, and trying to get enough sleep to not go crazy. So if I'm a bit delayed or skip a race or two... forgive me? I would love to hear what you are up to and see what you are cooking! Tag me on instagram @f1cookbook or shoot me a message at f1cookbookblog -at- gmail -dot- com. You can also comment here! Cheers and Happy Belated New Year! U.S. GP 2018: On Location! Over the year we have narrowed our list to 5 top destinations to see F1 races: Canada, Singapore, Belgium, Japan, or the U.S.
Each for their own distinct reasons. Canada because Montreal seems like such a lively and fun city, and the food culture sounds to die for. We would absolutely find our way to Joe Beef and eat so many bagels in and around the city. Singapore because of the absolutely gorgeous track, the beautiful man-made trees in the Botanic Garden and the intersection of so many of my favorite cuisines. Belgium is the home of my husband’s extended family, and his father tells stories of seeing races at Spa as a child before they moved to the United States. It is also home to the best beer in the world which is always worth a trip to experience. Japan would be a great race to attend primarily because of the fans, it seems like so much fun just to be in the presence of so many people supporting F1, and the track also has great history. The U.S. GP of course is in our home country and is located in the fantastically fun city of Austin. 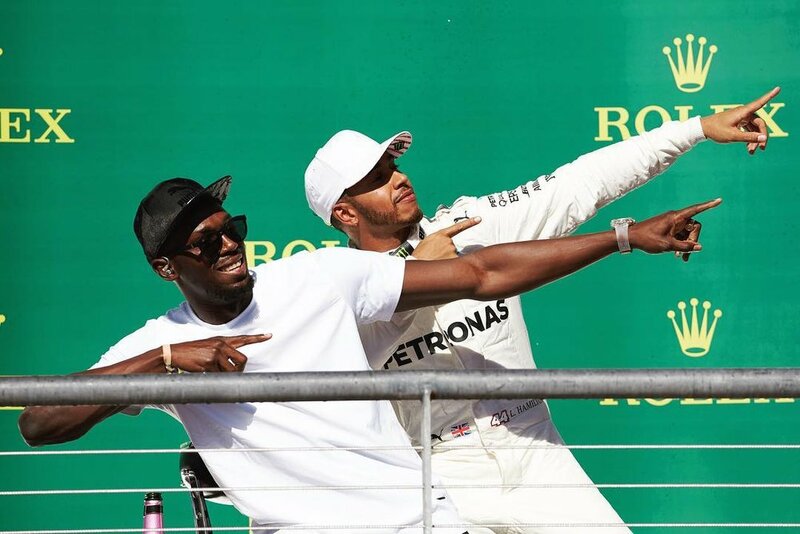 The BBQ, craft beer, funky vibes, and live music all seem like great reasons to visit Austin and the Circuit of the Americas track always has great racing, so that is definitely a win-win. We looked into each race, and weighed the pros and cons of travel, cost, language, etc. deciding that the U.S. GP would be a great place to start. Turned out we were right. The race was so exciting, the atmosphere was fun, the food was great, Austin was a kick, and we got to see Kimi win it! COTA is a well designed circuit with plenty of overtaking opportunities, a super exciting up hill start, plenty of esses and curves to keep things interesting, and always results in a great race. This year did not disappoint. We went for General Admission tickets, which was a great option, they provided flexibility in being able to explore the track, get multiple vantage points, and wander around to find the best food and views. Exploring Austin was also a ton of fun. BBQ food trucks, a visit to the capitol, killer taco places, bats under Congress bridge, hunting for street art, and pizza on our way to live music rounded out the Austin experience. We even found some places which immediately felt like home. Cosmic Coffee was a favorite, they had beer, cocktails, coffee, and food trucks all in one spot with a great atmosphere. Surprising to us was the breakfast taco spot we found on our last day in Austin: Tacodeli. They were so good we ordered seconds and have been dreaming about them ever since. This was a dangerous experiment because the moment we heard the F1 cars careen around the track we were hooked. I officially want to go to a race every year now. Forget our top 5, I want to go to ALL of them. I want to experience the race, explore the cities, eat all the food, drink all the beer, and soak in the fandom, the atmosphere, and the excitement of an F1 weekend. We’re hooked. I can’t say enough good things about our trip to Japan. Except for one glaring error, we did not make it to the race. Our trip was planned with 8 people and there was no way to see what we wanted to see, work with everyone’s schedules, and go to see the race. So, I treated it like a research mission and ate everything I could fit in. Supposedly so that I could learn about Japanese cuisine and make this deliciousness for future races... in reality because everything was so so so delicious and I just couldn’t help myself. Some of our favorites included Yakitori Alley and all its grilled goodness, Shin Udon in Tokyo where you can watch the chefs hand make the udon noodles which are silky and rich and the broth is bright and beautiful, Afuri Ramen’s yuzu broth and grilled chashu which was to die for, and of course fresh perfectly prepared sushi. We also partook in our fair share of sweets. Desserts in restaurants are not all that common, but desserts in street stalls, for breakfast, in train stations, at 7/11, and anywhere else you might find yourself are ubiquitous. We tried soft serve in a multitude of flavors such as matcha, black sesame, yuzu, pear, and crystallized sweet potato. We had the fluffiest pancakes known to mankind… twice. Our travel companion was on a mission to try every possible egg tart in the Tokyo/ Kyoto/ Osaka area, hunting down Pablo and Bake at every train station and town we visited. (Bake was the resounding winner.) Coffee culture also has a strong foothold in the big cities and we had some stellar lattes. Our favorite being Turret Coffee. As usual, being in new cities, we also set out on a mission to try every craft beer we could find. We thought this would be pretty limited given Japan’s propensity for lagers, but we were delightfully surprised by the burgeoning craft beer scene. I am so excited for the Chinese Grand Prix. Beautiful location, beautiful circuit, and even more beautiful food. I will be making three recipes from All Under Heaven: Recipes from the 35 Cuisines of China by Carolyn Phillips. All Under Heaven is a gorgeous tome. As it covers 35 regional cuisines of China, it is indeed extensive. Chinese cooking is new and unfamiliar to me, but it is exciting to learn from an exquisitely researched and written book like this one. 1. Start this recipe at least 6 hours before you want to serve it. If you are using whole wings, cut off the tips and use them for stock, and then cut the wings between the first and second joints so that you have 12 pieces. Place the wing pieces in a work bowl and sprinkle the cornstarch over them. Toss the wings in the bowl until each piece is thoroughly coated. 2. Place a cake rack on a large plate or small baking sheet, then arrange the wings, not touching, on the pan. Refrigerate uncovered so the cool air slightly dries out the wings. Refrigerate for at least 6 hours and up to 1 day. 3. Pour the oil into a wok and heat over high heat until a wooden chopstick inserted in the oil is immediately covered with bubbles. Hold a spatter screen in one hand while using the other hand to carefully add half of the wing pieces to the hot oil. Cover with the screen to reduce the possibility of burns and mess. As soon as the wings are golden on one side, turn them over, adjusting the heat as necessary. Remove the wings to a large work bowl once they are nicely browned and cooked through (see Tips). Repeat with the other half of the wings. 4. Drain off all but 1 tablespoon of oil from the wok (or put 1 tablespoon of the oil in a saucepan), place it over medium-high heat, and add the garlic, ginger, onions, and chilies. (Smoked paprika can be used instead of, or in addition to, the chilies.) Toss them in the hot oil to release their fragrance, and then add the rest of the ingredients. Turn the heat to high and quickly boil down the sauce. Just before it turns syrupy and starts to caramelize, taste and adjust the seasoning. Once it is the consistency of maple syrup, remove from the heat. Toss the wings in the sauce to coat them completely. Arrange the wings on a serving platter and eat while hot. My preference here is for the middle section of the wings, which offers a nice ratio of crispy skin to juicy chicken. Chicken wings will generally take 10 to 15 minutes to cook through. The wings will be done when they are a lovely golden brown all over. Blood will seep out of the core if they are not completely cooked, so check them in the work bowl before you toss them with the sauce. 1. Clean and trim green onions, pat them dry (this is important as you don’t want to spatter in the oil), and then slice them into either thin rounds or on an angle into long, thin ovals. 2. Line a plate with a paper towel and place it next to the stove along with a slotted spoon. Heat the oil in a wok over medium-high heat. When the oil just begins to shimmer, add a few pieces of onion. What you want is for the onions to gently bubble, so adjust the heat as needed and then add the rest of the onions. Stir the onions every minute or so and let them slowly cook, giving them a chance to release their fragrance and gradually dry out. Keep an eye on the onions, and as soon as they start to smell toasty and a few begin to brown, stir them almost constantly so they toast evenly. 3. Once almost all of them are brown, remove them from the oil with the slotted spoon and place them on the paper towel. Set the wok with the hot oil aside. If you’re going to continue the recipe immediately simply allow to cool as you continue. Otherwise, let the seasoned oil cool, then our it into a clean glass jar and store in e refrigerator. 4. Pour the soy sauce and stock into a large work bowl and stir in about ¼ cup of the flavored oil. If you are using the dried shrimp, drain them, discard any sandy veins or foreign matter, and chop them into fine pieces. 5. Put the water in a large pot, add the salt, and bring to a boil. About 5 to 10 minutes before you want to serve this dish, stir the noodles into the water and gently swish them often so they don’t stick together. As soon as the water starts to boil, lower the heat to a simmer and cook the noodles until they are barely done. Place a colander in the sink and drain the pasta into it, but don’t rinse it., as the starch on the noodles will help to thicken the sauce and allow it to evenly coat each strand. 6. Put the cooked noodles into your work bowl with the sauce (and optional minced shrimp) and toss them well. You want the noodles slightly soupy since they’ll absorb some of the sauce, so add more stock if needed. Taste and add a bit of soy sauce or green onion oil, if you want. 7. Divide the noodles and sauce among serving bowls, garnish with all of the fried onions, and serve. 1. Rinse the cabbage carefully, removing any damaged leaves. Shake the cabbage dry and then cut out the core. Separate the leaves into stacks of 3 or 4 and place them curved-side down on a cutting board. Use the side of a cleaver to lightly whack the stems; this will serve to gently break them open, and then cut them into pieces approximately 2 x 1 inches in size. 2. Break the chilies open and discard both the seeds and the stem ends. Cut them into smallish pieces. Heat a wok over high heat and then pour in the oil. Immediately add the chilies and fry them quickly until they have crisped up. Toss in the ginger and the cabbage and stir-fry the cabbage over high heat. As soon as the cabbage has wilted, add the vinegar, soy sauce, sugar, and sesame oil. Taste and adjust seasoning. Continue to toss the cabbage until all of the edges are a golden brown. Serve hot. Hope you'll join me in making a few of these. Let me know how they turn out!! 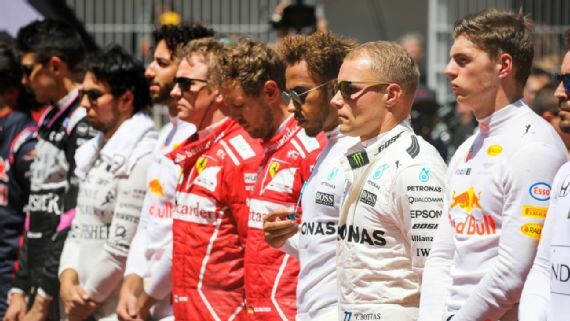 2018 Formula 1 Championship begins in Australia next Sunday March 25th! We're planning a little F1 Kickoff Party with a few friends to celebrate the return of Formula 1 for the 2018 Season and of course to have some humungous burgers. As well as Aussie Burgers with the lot, we'll be making the ever-popular Australian perfect-for-parties dessert, Lamington cakes. Since a lot of our friends don't actually watch F1 we thought about ways to introduce them to the sport. We contemplated movies like Senna, Rush, or 1 (I highly recommend ALL of those movies). Reddit also provided some handy suggestions such as: The Brazil 2008 Interlagos Battle, That's Why I love Formula 1, The Silver War, and the short and sweet Speed Comparison GP vs F1 . I put together a YouTube playlist to show while we are all hanging out, but I will call a time-out and gather everyone around for a perennial favorite of ours: the inimitable George the Poet and his beautiful ode to Monaco. As for what to make for the upcoming race... I still stand by my "if it ain't broke, don't fix it" motto when it comes to the 'Aussie Burger with the lot' being the best thing to eat for the Australian Grand Prix. However, with that said, I found a cookbook on Australian Cuisine at a cute little bookshop in my hometown over the holidays. So, to add to the breadth of options for you as well as something a little new for us, I will make a brand new meal. Seafood seems like a no-brainer for a meal for the King of the Islands (not sure what I'm referencing? Check out the video at the bottom of the post). So, let's try a few from 'A Taste of Australia'. Pictures and recipe notes will be up after the race. To make dressing, cut the chili peppers in half lengthwise. Place the rice vinegar, sugar, and chili peppers in a saucepan over medium heat. Stir to dissolve the sugar and simmer for 20 minutes or until the mixture has reduced to a thin syrup. Remove from the heat and add the lime juice Strain and let cool. To make salad, score the squid lightly with a knife to make a crisscross pattern. Finely julienne the peppers, carrot and chili pepper. Finely slice the onion and mix it with other vegetables. To make sauce, peel the shallots and chop roughly. Roughly chop the chilli pepper. Place all the ingredients, except the yogurt in a food processor or blender and process to a smooth paste. Place the mixture in a bowl and stir in the yogurt. F1 is coming back soooooon! So I'm running with it and we're starting early this year with recipes for Pre-Season testing! Testing this year, as in the past, will be in Barcelona at the Circuit de Barcelona- Catalunya. This gives me a perfect opportunity to use my new tome: The Cuisines of Spain by Teresa Barrenechea. Plenty of dishes inspired by Catalonian cuisine perfect for a little pre-season tastiness! Since the teams are testing out new features and trying new things, I thought maybe this was a good time for me to do the same. For this season my hope to is to share with you the recipes I plan to make in advance so that, if you so wish, you can cook along! Or if you just want to ogle the cooked dishes and see recipes you can always ignore post one and go straight for the good stuff by checking out post two or going to the Recipes section of the website. So, in that theme, today I share with you my (potentially/ as usual) over-ambitious plans for the pre-testing in Spain. The tests last two weeks so I am going to try to make as many of the following dishes as I can in that time! A little more F1 fandom for a moment here, the 2018 car launch and pre-season testing schedule is available on the Formula1 official site. Here are a few of the beauties that have already been released. So excited!! Here we go! Look for updates including any recipe notes and all the pictures in a couple weeks time! 2. Place bread slices on a baking sheet and toast in oven for 5-8 minutes, or until golden and crisp. Remove from the oven and immediately drizzle with olive oil on both sides. 3. Rub each slice with the cut side of the tomato half, pressing to squeeze some of the pulp and seeds on the bread. Sprinkle the tomato with salt. Serve while the bread is still warm and crisp. 1. Scrub the clams under cold running water, discarding any that fail to close to the touch. In a large bowl, combine the clams, coarse salt, and water to cover and let stand for at least 30 minutes or up to 2 hours so that the clams release any sand trapped in their shells. 2. Meanwhile, in a large sauté pan, heat the olive oil over medium-high heat. Add the chicken and brown, turning as needed, for about 10 minutes, or until golden on all sides. Using a slotted spoon, remove the chicken and set aside. 3. Decrease the heat to medium and add the onions, garlic, vermouth, water, salt, pepper, and sugar. Cook, stirring occasionally, for 20 minutes, or until the liquid has evaporated. Increase the heat to high and cook, stirring occasionally, for about 5 minutes longer, or until the onions are caramelized. 4. Meanwhile, preheat the oven to 350 ° F. In a saucepan, bring the stock to a boil. Decrease the heat to maintain a simmer. 5. When the onions are ready, add the tomatoes, pimentón, and saffron to the pan and mix well. Add the squid, decrease the heat to medium, and stir briefly to mix with the rest of the ingredients. Transfer the mixture to a large (about 15-inch) cazuela (I'm planning to use a dutch oven), place over high heat, add the chicken pieces and rice, and stir to combine. Pour in the hot stock and cook for 5 minutes without stirring. 6. Drain the clams. Place the clams and the shrimp on top of the rice, and place the cazuela in the oven. Bake for 12 minutes. The liquid will be absorbed, the rice will be tender, the clams will have opened, and the shrimp will turn pink. 7. Remove from the oven, cover with a lid or a kitchen towel, and let rest for 5 minutes before serving. Discard any clams that failed to open and serve. 1. In a large saucepan, bring the water to a boil over high heat. Add the salt and Swiss chard, cover, and cook for 15 minutes, or until tender. Drain the chard in a colander, pressing on it firmly to remove any excess liquid. 2. In a skillet, heat the olive oil over high heat. Add the pine nuts, stir well, add the Swiss chard and raisins, mix well. Cook briefly, stirring, until all ingredients are heated through. 3. Serve immediately, or remove from heat, set aside, and reheat when ready to eat. 1. Preheat oven to 400F. Butter an 11-inch round cake pan with 2-inch sides and then dust it with flour, shake off any excess. 2. In a large bowl, combine the egg yolks and sugar and whisk together until smooth and foamy. Add the lemon zest, cinnamon, and vanilla and mix well. Add the ground almonds a little at a time, mixing well after each addition to incorporate fully. 3. Using a whisk or a handheld mixer, beat the egg whites until they form soft peaks. Scoop about one-third of the whites onto the egg yolk mixture and, using a rubber spatula, fold them in to lighten the mixture. Then add the remaining whites and fold them in gently but thoroughly, deflating the batter as little as possible. 4. Transfer the batter to the prepared pan. Bake the cake for about 30 minutes, or until a knife inserted into the center comes out clean. Remove from the oven and holding the pan about 6 inches above the counter, drop the pan onto the counter. This simple dropping action “shocks” the cake, making it easier to remove from the pan. 5. Transfer the cake to a wire rack and let cool in the pan until warm. Run a knife around the inside of the pan to loosen the cake sides and then invert the cake onto the rack and lift off the pan. Place the cake upright on a serving plate. Serve warm or at room temperature with Almond Ice Cream, if desired. 1. In a food processor, very finely grind the almonds. Use the pulse function and watch carefully. You do not want the nuts to release too much oil (otherwise they turn into nut butter). 2. In a heavy saucepan, combine the water, sugar, lemon zest, cinnamon stick, and half of the almonds. Place over high heat and bring to a boil, stirring constantly. Decrease high heat to medium and add the rest of the almonds, continuing to stir. As soon as the mixture boils again, remove from the heat and let cool completely. 3. Transfer the cooled mixture to an ice-cream maker and freeze according to the manufacturer's directions. 4. When ready to serve, remove from freezer about 20 minutes in advance to allow to soften slightly. I can't believe it is the end of the season already. The final race in Abu Dhabi is quite a spectacle and a great send off to what turned out to be a pretty exciting year. Congratulations to Mercedes and Lewis Hamilton for clinching the Constructors and Driver Championships! Hoping next year we see more competition at the front... I'm looking at you Ferrari. Expecting Red Bull and hopefully McLaren to also show some good upgrades and make this a real fight! For the Abu Dhabi Grand Prix we expanded our culinary choices beyond machboos and in fact I ventured all the way... to the library. I found a stack of books on Middle Eastern cuisines which ranged from Israeli, Palestinian, Azerbaijani, Turkish, and Emirati to more countries and regions beyond. It was fun perusing the recipe books and reading about the regions wealth of food history. For this race I picked a few that just sounded too irresistible: Cardamom Crumbed Lamb, Eggplant Salad, and Apricot Almond Cake. 1. Preheat over to 425F. 3. To make the glaze, put cardamom seeds, mustard, honey, and sherry in a saucepan with a grind of black pepper. Heat gently until the honey melts. Mix ingredients constantly until they come together in a thin glaze. 4. Combine the cumbing mixture with the olive oil. Add the parmesan to the bread crumbs and mix together. 5. Lightly season lamb racks with salt and pepper. Spread the glaze generously onto the meat side of the lamb racks and press the crumbing mixture into the glaze, packing it on generously but neatly. Wrap aluminum foil around the bones to prevent charring. 7. Allow to rest with an aluminum tent for 10 minutes. Spread 1 tsp olive oil on each flat bread, sprinkle generous amount of Za’atar spice blend on flat bread. Bake for 5 minutes or until slightly brown and crispy edges form. To end the night, and the season, we had a delicious Apricot Almond Cake and Quick Turkish Coffees. Looking back over the 2017 season there were some spectacular races and a lot of great race drama. If you want to relive it, the Formula 1 Youtube channel has highlights from every race in a playlist. 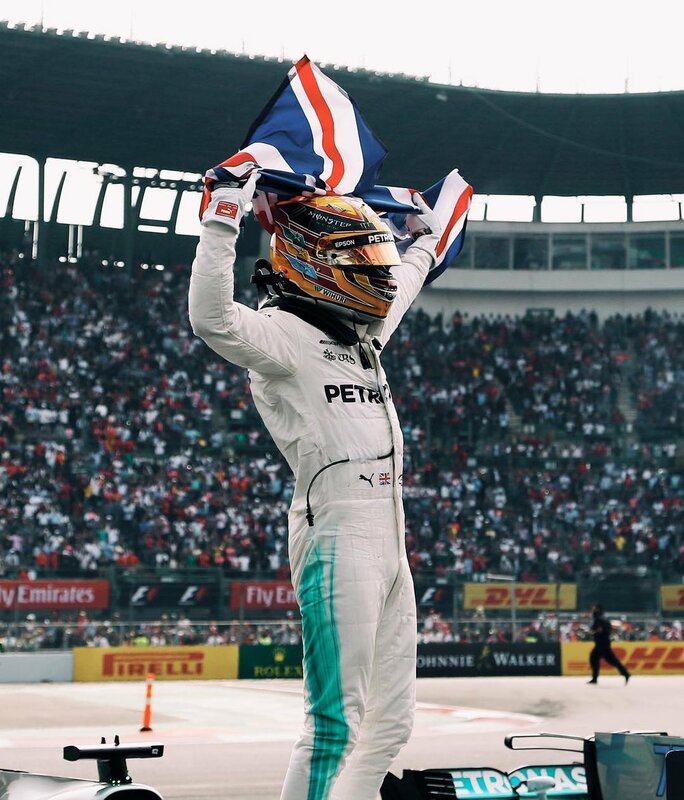 Alternatively, you can just pull up the defining moments like Baku or Mexico, or some of the most exciting races like Malaysia, Singapore, and China. Or like me, you can revisit it through food by going back and making more Char Kway Teow and Banoffee Pie! Looking forward to next year, in 2018 two new (returning) races will be added to the calendar, in France and Germany. New races means new food! Can't wait to explore french cuisine and make some delicious things covered in butter! It will be a long winter wait for March 25th, 2018... but in the meantime I may have some surprises and fun things in store to keep us entertained and well fed over the break. "It's been an amazing season and now a new era awaits. The greatest races are ahead of us... "
It is hard to believe that there are only four races left in 2017. The next one is the closest to home at the Circuit of the Americas in Austin, Texas. Then we are on to Mexico, Brazil, and the final race at Yas Marina Circuit in Abu Dhabi. Lewis looks in position to win the Championship, but with Forumla One you never know what is around the corner. I am hoping for some last minute excitement! Ferrari and Renault have yet to release their U.S. GP Posters, but if any of their past posters are a sign of things to come, I am excited to see them. For the U.S. GP, there are so many recipes I have in mind. It is difficult to choose what to make for one's own country. What dishes exemplify the United States? Burgers. Apple Pie. Barbecue. Steak and Potatoes. Corn on the cob. Fried Chicken. Bourbon. The list goes deliciously on. My addiction to cookbooks has not been a help in this matter. It just exacerbates my indecision. I have some excellent classics and some of my favorite bloggers and restaurantuers on my shelves just begging to be opened and a thousand recipes to be made. And of course Betty Crocker's Picture Cookbook with tips for the woman on the go! Last year we went full Texan with Fried Chicken, Calabacitas, and Palomas all from Texas Monthly and all delicious. What would you make? I think am going to go with some personal favorites and some American classics: My brother-in-law's Pulled Pork, Creamy Macaroni and Cheese, Southern Cabbage and Collard slaw, and for dessert, well you'll just have to wait and see. This weekend is the Malaysian Grand Prix at the Sepang circuit in Kuala Lumpur. Another exciting race that is sure to be hot and very likely stormy. According to the all knowing Wikipedia, "the circuit is known for its unpredictable humid tropical weather, varying from clear furnace hot days to tropical rain storms." I'm banking on both furnace hot and tropical rainstorms to bring the most excitement! This will be the farewell race for Malaysia since F1 did not renew a contract to continue racing at Sepang next year. This is disappointing as the drivers love the circuit and it's unpredictability always makes for some interesting podiums and fun races. "Sepang was the first F1 track to be designed by renowned circuit architect Hermann Tilke. It has an interesting mix of medium and high-speed corners, but the biggest single challenge for the teams is cooling. The ambient temperature rarely drops below 30 degrees Celsius (high 80s F) at this time of year.... They also have to watch out for the rain – when it rains in this part of the world, it usually pours. In 2009 the race had to be stopped after 31 laps due to a flooded racetrack and the later-than-normal start time of 3pm leaves the race vulnerable to a late-afternoon thunderstorm." As for what we are eating, since this is a farewell race I plan to stick with a classic: Laksa Curry. It is one of the first dishes I ever made for F1 Cookbook and remains one of our favorites. We're definitely ready for the race weekend. Excitement is building on team twitter feeds including teams sharing these awesome posters, which are gorgeous as ever. Get ready for exciting racing, laksa curry, fried bananas, and jungle bird cocktails! Singapore is on my short list of far-off countries to visit. As well as my short list for F1 races to go to. My husband and I stated on the count of three our top four race destinations: Montreal, Austin, Spa, Singapore. Word for Word. Montreal, because, well, Montreal: Canada, Joe Beef, Hiking, an awesome racetrack. Austin because it is the closest to home and for lack of a better description it is the San Francisco of Texas, which sounds like a great description to me! Spa because that is where a large part of my husband's family came from and where many of them still live, also because any possible reason to go the Ardennes and the home of the best beer in the world is a good one. And Singapore... well maybe this Ferrari poster will START to tell you why. Or maybe you need to watch some early episodes of Anthony Bourdain where he raves about the food and slurps noodle dishes with abandon while barely noticing the cameras are there, he is in such foodie heaven. Or perhaps it is the race itself. It is the first night race in F1 and it is hands down gorgeous. The lights gleaming, the larger than life Ferris wheel sparkling, the cars careening around the track, it is one of the all-time best F1 spectacles. Hmm... I might need to cut down on that list. But I am absolutely sold on making Char Kway Teow and Singaporean Chili Crab. If I find myself lost in the aisles of 99 Ranch (which is highly likely) I might just try to make it all! Monaco, oh, Monaco. If ever there were a dream of opulence and grandeur, you are it. With the nearest neighbors being France and Italy and sitting so elegantly on the Mediterranean sea, it is the setting of dreams. I can only imagine walking the streets, eating at sidewalk cafes, seeing beautiful people and even more beautiful cars. I was inspired to delve in to my French cookbooks for this year's Monacan Grand Prix. Dorie Greenspan has a way of making all her recipes perfectly comprehensible and doable even if they have 20 ingredients and take 3 hours! This was perfect served with some roasted root vegetables and a tall glass of champagne. Dorie Greenspan's Around my French Table, thanks to Serious Eats I did not have to type all this up!! Center a rack in the oven and preheat the oven to 350°F. Put a Dutch oven over medium heat and toss in the bacon. Cook, stirring, just until the bacon browns, then transfer to a bowl. Dry the beef between sheets of paper towels. Add 1 tablespoon of the oil to the bacon fat in the pot and warm it over medium-high heat, then brown the beef, in batches, on all sides. Don’t crowd the pot—if you try to cook too many pieces at once, you’ll steam the meat rather than brown it—and make sure that each piece gets good color. Transfer the browned meat to the bowl with the bacon and season lightly with salt and pepper. Pour off the oil in the pot (don’t remove any browned bits stuck to the bottom), add the remaining tablespoon of oil, and warm it over medium heat. Add the onions and shallots, season lightly with salt and pepper, and cook, stirring, until the onions soften, about 8 minutes. Toss in the garlic, carrots, and parsnips, if you’re using them, and give everything a few good turns to cover all the ingredients with a little oil. Pour in the brandy, turn up the heat, and stir well so that the brandy loosens whatever may be clinging to the bottom of the pot. Let the brandy boil for a minute, then return the beef and bacon to the pot, pour in the wine, and toss in the bouquet garni. Once again, give everything a good stir. When the wine comes to a boil, cover the pot tightly with a piece of aluminum foil and the lid. Slide the daube into the oven and allow it to braise undisturbed for 1 hour. Pull the pot out of the oven, remove the lid and foil, and stir everything up once. If it looks as if the liquid is reducing by a great deal (unlikely), add just enough water to cover the ingredients. Recover the pot with the foil and lid, slip it back into the oven, and cook for another 1 1/2 hours (total time is 2 1/2 hours). At this point the meat should be fork-tender—if it’s not, give it another 30 minutes or so in the oven. Taste the sauce. If you’d like it a little more concentrated (usually I think it’s just fine as is), pour the sauce into a saucepan, put it over high heat, and boil it down until it’s just the way you like it. When the sauce meets your approval, taste it for salt and pepper. (If you’re going to reduce the sauce, make certain not to salt it until it’s reduced.) Fish out the bouquet garni and using a large serving spoon, skim off the surface fat. Serve the beef and carrots moistened with sauce. One of my all time favorite F1 related media has to be George the Poet on Monaco from 2013. We watch it religiously every year, and get goosebumps with every re-watching. If you haven't seen it yet, you're welcome! This year with Fernando Alonso making his bold move into American MotorSport this McLaren poster was on point. 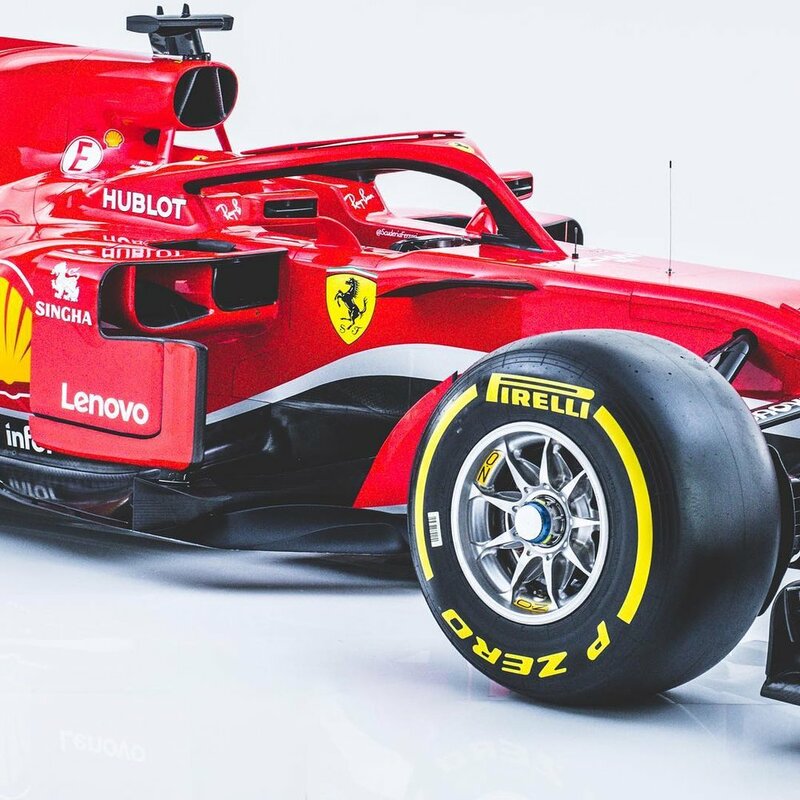 Not to be outdone Ferrari kept their designs gorgeous as ever. And last, but certainly not least, graphic designer and artist Chris Rathbone created this excellent contribution for Alonso at Indy! Bahraini food is indeed delicious. Serious depth of flavor, seafood, lots of lamb dishes (yum! ), and much more to offer. Unfortunately, time did not permit me to make any of those delicious things. This year I had intended on making a fried fish with tahini (al samak al maqli with salsat al taheena) but I guess it will have to wait until next year! And Renault's 2017 posters which are reminiscent of Manor Racing's gorgeous posters from last year. And last only because I found out about them later than the others WILLIAMS! Can't wait to see the rest of the season! Anyone else want to decorate their entire house with these? Last but not least for today, F1's official youtube channel does some fun videos with current and former drivers. The Grill the Grid has some fun trivia, and when they bring the teammates together you get to see the chemistry (or not) in the teams! F1 is back! Do your winters feel long? Those short days, dark mornings and cold nights. Everything is a little less bright and getting up is harder to do. And there is absolutely nothing to watch or follow or cheer for. Well, the long wait is over and spring has sprung! The Australian GP is on March 26th and we are soooo ready for it! 1. The F1 grid, made in LEGO bricks! 2. To keep on top of all things F1, there is always Reddit to the rescue. 3. 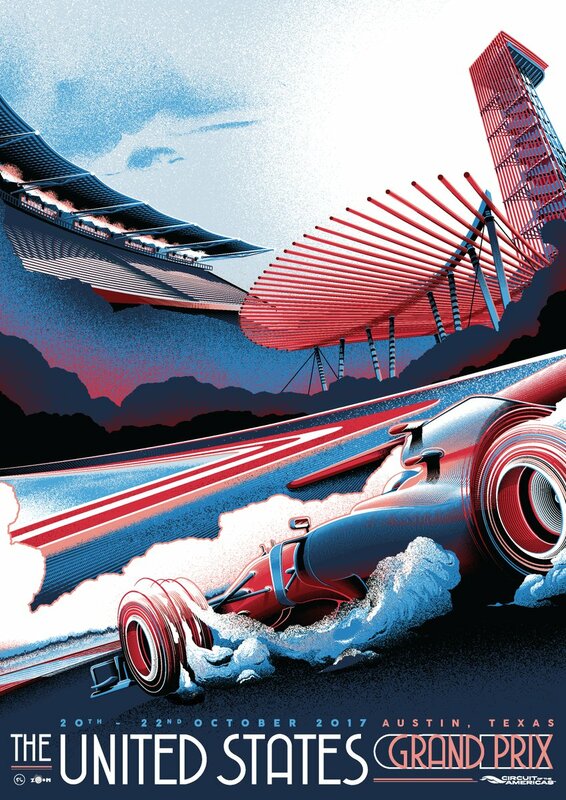 If you haven't seen it yet, PJ Tierney's F1 Poster Series is one of the most iconic F1 design series. Although a few years old, they are still some of the best F1 designs to date, IMHO. This graphic designer pixelates each of the Formula 1 cars for some very cool detailed imagery. Looking forward to the new year and finding new gems along the way! Calendar ... this year should be fun!